Arsenal right-back Hector Bellerin is wearing an interesting outfit at the Emirates Stadium this afternoon. The Spain international is watching the Burnley match from the stands, and Twitter is absolutely loving his crazy get-up. 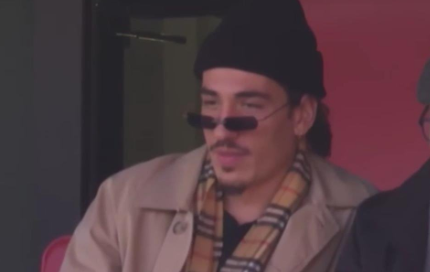 A known lover of fashion, Bellerin truly is a stylish man, though even he may have gone a little far this time.